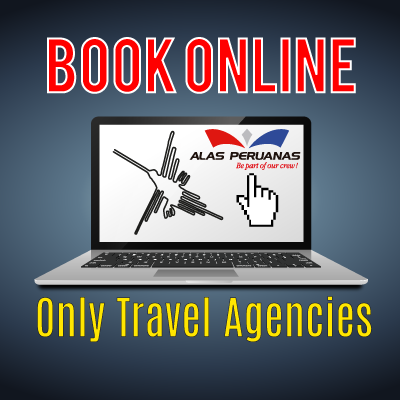 We are going to pick you up from your hotel in Lima (Located in Miraflores or San Isidro), to transfer you to Cruz Del Sur or Oltursa bus station; you are going to take the bus, Touristic Service to Nazca. It takes approximately 7 hours. When you get to Nazca, there will be a person waiting for you at the bus terminal to transfer to the Airport to fly the Nazca Lines. Tour in Nazca: the flight over the Nazca Lines takes 30 minutes in that time you are going to see 13 figures (The Astronaut, the Monkey, The Condor, The hummingbird, etc.) Before the Nazca flight you are going to watch an information video about the different theories about the Lines. 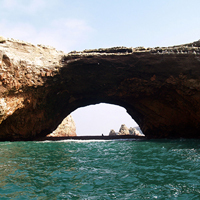 Tour in Paracas: Ballestas Islands are spectacular islands with many caves and arches, which provide shelter for thousands of seabirds and sea-lions. Even condors have been known to visit. On the shores can be seen large numbers of sea-lions and in the sea it is possible to encounter dolphins and even whales, after visiting the Ballestas Islands we will transfer you to the airport to Fly over the Nazca Lines. We are going to pick you up from your hotel in Lima (Located in Miraflores or San Isidro), to transfer you to Cruz Del Sur or Oltursa bus station; you are going to take the bus, Touristic Service to Ica. It takes approximately 5 hrs. 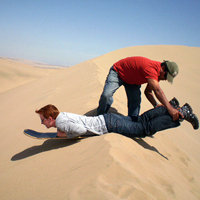 When you get to Ica, there will be a person waiting for you to transfer to The Ica Airport, to fly The Nazca Lines. 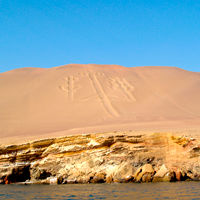 Tour in Ica: The Nazca Lines flight from Ica takes 1 hour. In that time you will see the following figures: The Astronaut(35 meters), the Monkey (90 meters), The Condor(135 meters), The hummingbird (97 meters), etc.) Before the flight you are going to watch an information video about the different theories of the Lines one of them is Maria Reiche´s Theory; Maria Reiche was the person who studied for more than 50 years, she said that all these lines and figures are the biggest Astronomical Calendar, following them we could know summer and winter solstice.